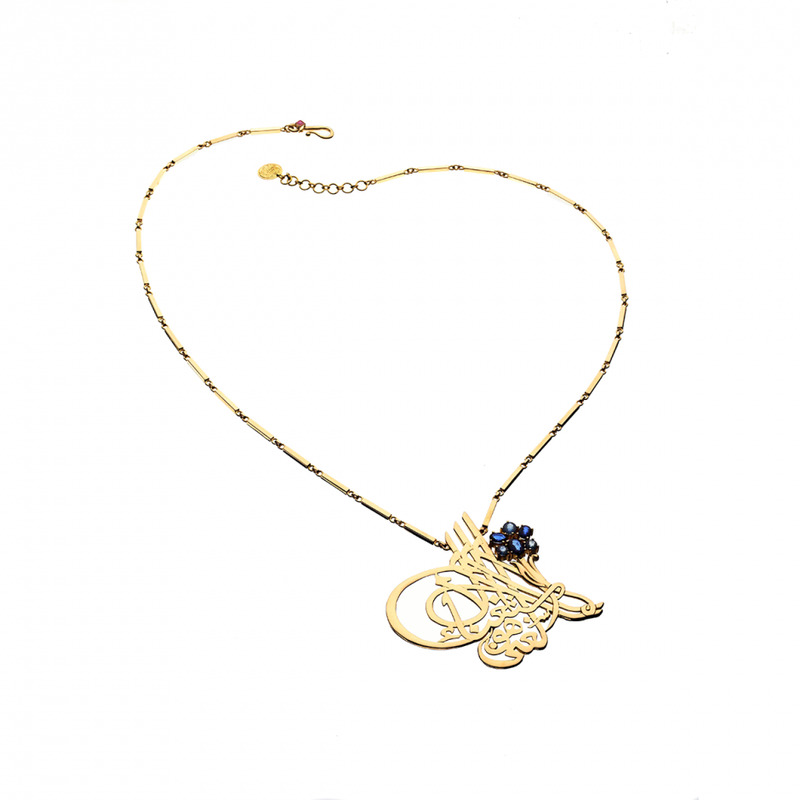 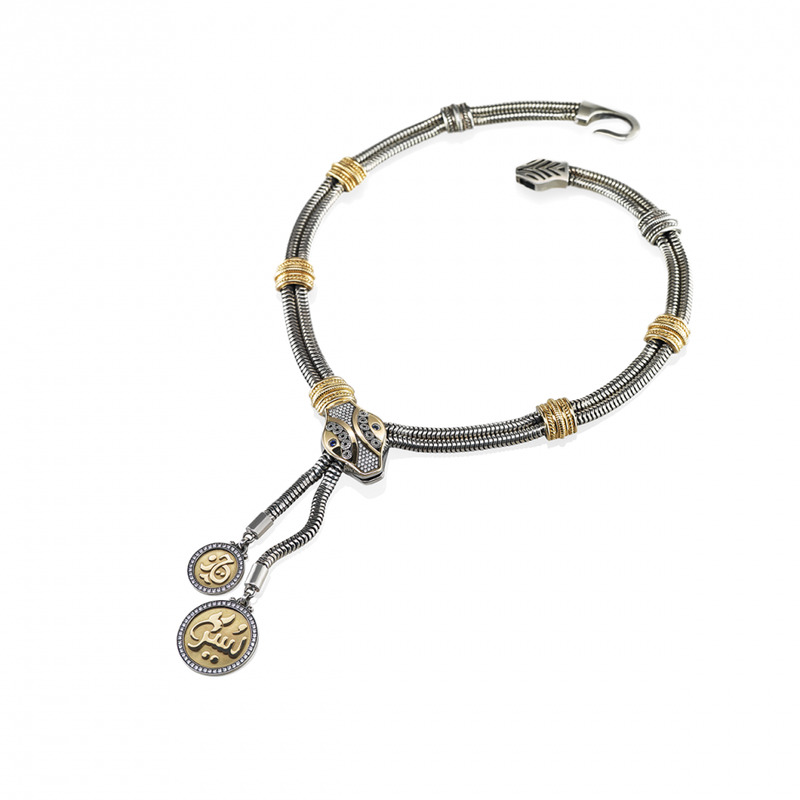 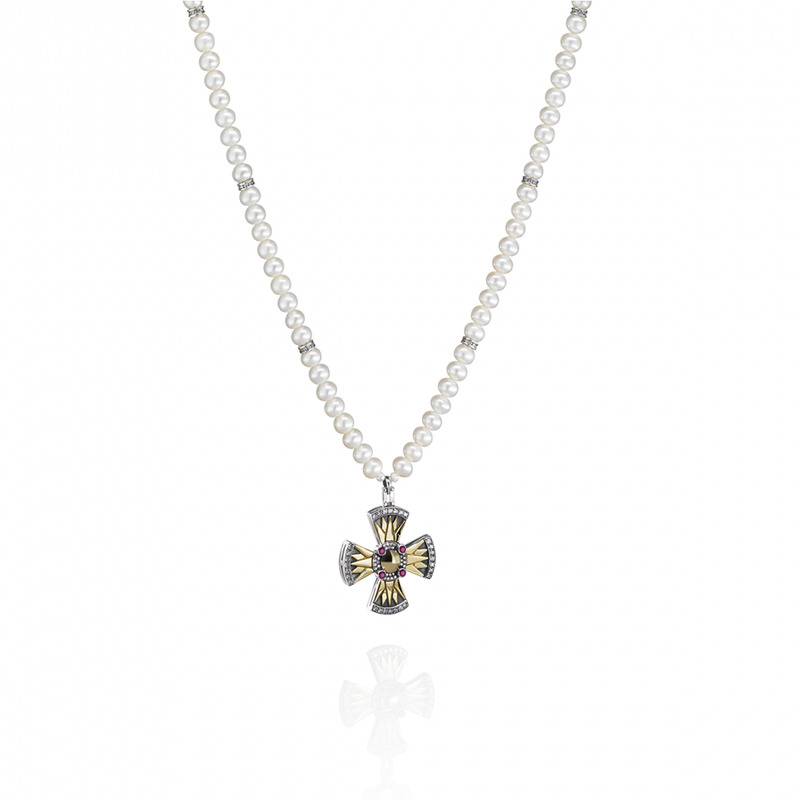 18 Kt Gold and Sterling Silver "Snake" Necklace adorned with calligraphy and precious stones. 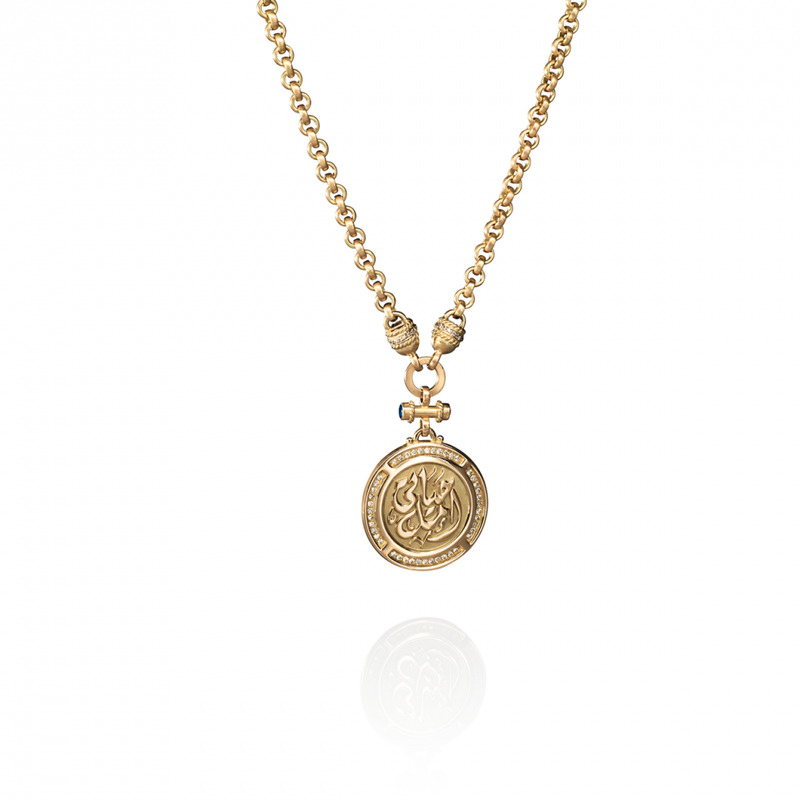 Brilliant in its detailing, comes this all-Ottoman inspired Crescent masterpiece, in this 18kt gold and sterling silver bejeweled with precious stones and engravings. 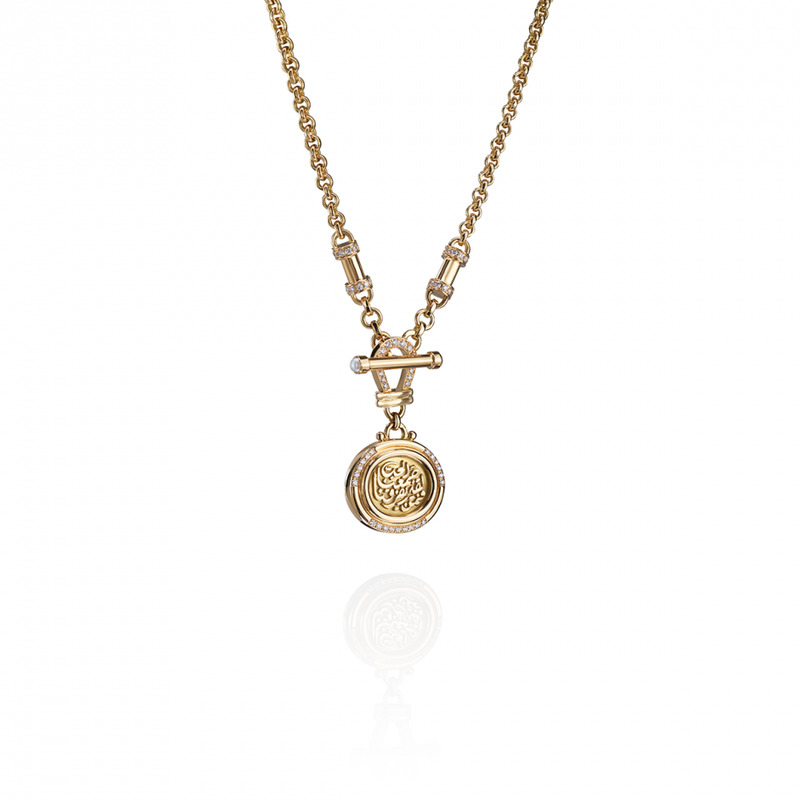 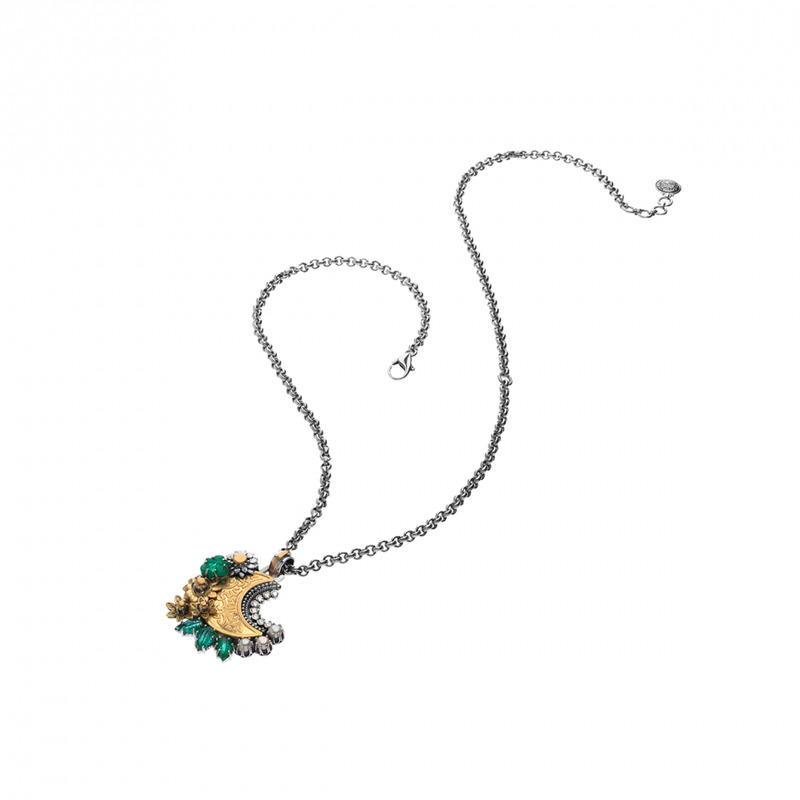 ‘My Precious love’ the words once sung by Umm Kulthum that ignited the inspiration behind this 18kt gold pendant reminiscent of antique coins, set with two emeralds and pave diamonds all around.